What's New for the 2019 BMW 2 Series? The BMW 2 Series is a subcompact coupe currently in its first generation. For the 2019 model year, the 2 Series has a number of new updates. Forward collision warning, lane departure warning and parking sensors are now offered as standard features. And Apple CarPlay is now offered as a subscription. The BMW 2 Series is available in four trims: 230i, 230i xDrive, M240i and M240i xDrive. Each of the four trims are also available as a convertible. Standard features of the 230i trim include Double Spoke light alloy wheels and all-season run-flat tires, LED powered Headlights, 10-way power sport front seats, Black interior trim with highlights in Pearl Gloss Chrome, a AM/FM stereo with Radio Data System (RDS) and HiFi Sound System with a 7 speaker system and a 205-watt digital amplifier. The 230i xDrive trim offers many of the features of the 230i plus the xDrive all-wheel-drive system. The M240i trim offers many of the features available on the 230i plus a Sport exhaust system, Auto Start-Stop capability, Brake Energy Regeneration, M Sport style brakes, Adaptive M Suspension, Rear spoiler, and Dynamic Cruise Control system. 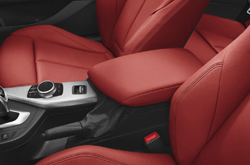 The 240i xDrive trim includes many of the features from the 240i trim level plus the xDrive all-wheel-drive system. 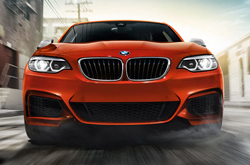 The 230i and the 230i xDrive comes standard with the 2.0-liter BMW TwinPower Turbo inline 4-cylinder, 16-valve engine that offers up to 248 horsepower married to a 8-speed Sport Automatic transmission. In a 0 to 60 performance test, this engine is able to achieve a time of 5.3 seconds on the 230i and 5.2 seconds on the 230i xDrive. For the convertible trims, the 0 to 60 performance time is 5.6 seconds for both the 230i and the 230i xDrive. 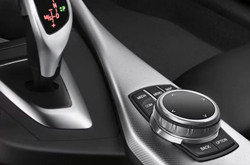 The M240i and the M240i xDrive comes standard with a 3.0-liter BMW M Performance TwinPower Turbo inline 6-cylinder, 24-valve engine that offers up to 335 horsepower and is married to a 8-speed Sport Automatic transmission with steering wheel-mounted paddle shifters. In a 0 to 60 performance test, this engine is able to achieve a time of 4.4 seconds on the M240i and 4.2 seconds on the M240i xDrive. 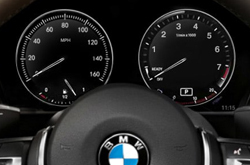 For the convertible trims, the 0 to 60 time is 4.5 seconds for the M240i and 4.4 seconds for the M240i xDrive. Is the BMW 2 Series Safe? Contact BMW of Lincoln or visit our dealership in Lincoln to learn more about the BMW 2 Series or take a test drive.